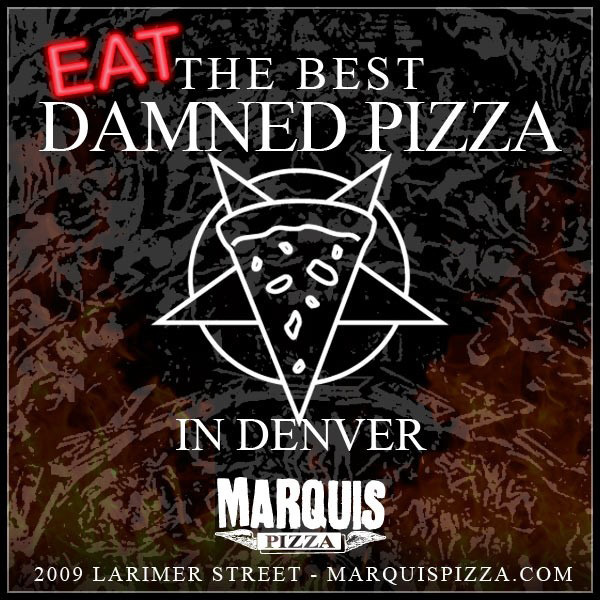 Marquis Theater is located at the corner of 20th and Larimer, 2 blocks from Coors Field in downtown Denver. The physical address is 2009 Larimer St, Denver, CO 80202. Re-entry is allowed for patrons over 21. If you are under 21 and you leave the building, you will not be allowed back inside without a new ticket. Do I need ID to enter the venue? An ID is only required if you plan on drinking alcohol. Because we allow underage patrons, we take checking IDs very seriously. In compliance with CO laws, anyone 21 and older who plans on drinking alcohol will have to show a valid, (not expired) government issued photo ID, no matter how old you think you may look. Anyone without proper ID, regardless of age, will be treated as under 21 and will not be allowed to buy, hold, or drink alcohol. This policy is strictly enforced and any violation will result in immediate ejection from the venue. It depends on each individual artist or performer's policies. Usually, small point-and-shoot cameras and mobile phone cameras are allowed to be used without flash. Cameras with removable lenses on them are considered to be professional length, and are not allowed to be brought into the venue, unless artist has given prior approval to individual. Security will ask guests to leave such cameras in their cars. Audio or video recording is also almost never allowed at concerts unless otherwise noted. All shows are general admission standing room only unless otherwise noted. We do have a limited amount of bar tables and stools that can be accessed on a first come first serve basis. Unfortunately, as a matter of safety to our other customers, you will not be able to bring your own chair. We suggest you be in line before doors open. Keep in mind that no matter how early you line up there may already be people ahead of you in line, and you are not guaranteed any particular spots inside. All shows are general admission (no reserved seating). No. Colorado has an indoor smoking ban. However, as long as you’re over 21, re-entry is allowed so you’re welcome to step out for a smoke break. Is the time listed door time or show time? The time listed on each show is the door time, the show will start shortly thereafter. $5 covered parking is available at the Guaranty Bank Garage on 18th & Market St. Click here for details. There are also numerous surface lots in the area where you can park. Parking fees vary by lot. How do I get a job with Marquis Theater? Click Here to apply for a position at Marquis Theater. Yes, Marquis Music Hall is handicapped accessible. If you need early entry or any kind of help, please consult security personnel at the front door upon arrival to the venue for assistance. If a show says sold out, is it really sold out? Yes, it is really sold out and no more tickets will be released. Does Marquis have an e-mail list? How can I be included? Yes. We send out weekly e-mail updates that include information on just- announced shows, yet-to-be-advertised shows, exclusive pre-sales, and warnings when certain shows are about to sell out. If you wish to be included please sign up using the textbox at the top of the page. When do you announce new shows? Depending on bands’ booking and promotions schedules, new shows are announced all the time. New shows will appear on Marquis’ website as soon as they are announced. All sales are final. There are no refunds or exchanges unless a show is cancelled. If your event is cancelled please return to the point of purchase for refunds. If you purchased tickets online, your credit card will be automatically refunded within one week of the cancellation. If your event is postponed, you will be given the option to refund your tickets or if you choose to attend the rescheduled date, your tickets will be honored on the rescheduled date.